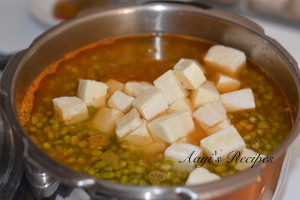 Being from southern part of India, we were introduced to paneer quite late compared to my north Indian friends. Most of my family still do not like this Indian cheese. I have started using it more regularly (once in 15days or so) in recent years to get some protein in our diet. 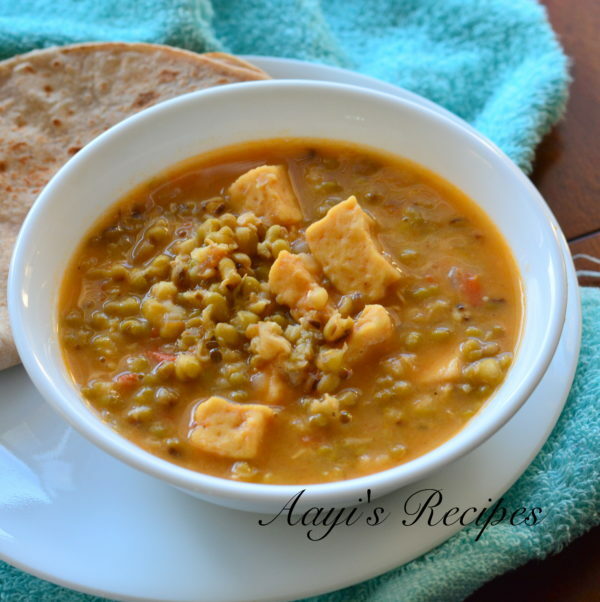 Few days back I had soaked some green moong and I wanted to use up a block of paneer from freezer, so I decided to combine both to make this green moong – paneer masala. 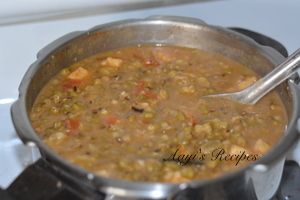 I made it a bit tangy and spicy, tasted great with chapatis. 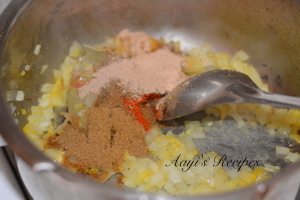 Heat oil and add whole spices. 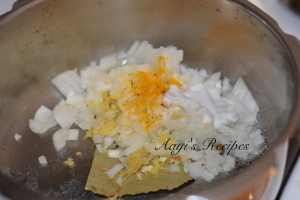 Add onion, ginger-garlic. 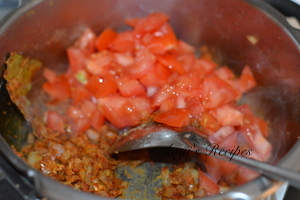 Add all spices, followed by tomatoes. 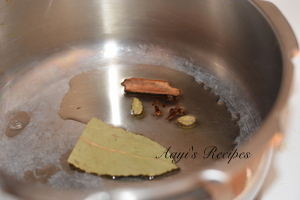 Add moong, paneer, water and cook till done. Very interesting combo ??. 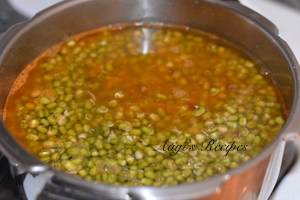 I tend to sprout moong n use always for my dishes & will definitely try this next week & let you know ?